The First Accredited Messianic Jewish Program in Europe’s History Has Launched! It was a calm August morning in 2006 at Auschwitz, site of the infamous Nazi concentration camp where more than a million Jews were killed during World War II in German-occupied Poland. Sasha Shainoga was visiting from his home in Ukraine to learn about the horrors and atrocities that happened at this camp some 70 years prior. Many Europeans have been able to visit Auschwitz because of its central location in Europe. They come to look into the past, forgetting the future momentarily, but this particular visit would alter the rest of Sasha’s life. In the months that followed that trip, Sasha felt a new purpose and knew God was using this encounter at Auschwitz to do something important in his life. He had already graduated from the Messianic Jewish Bible Institute (MJBI) in Odessa, Ukraine, which works to equip leaders to reach the Jewish people with the love of Yeshua (Jesus). Immediately after that he took a job there working with Valentin Sviontek. Valentin is a fellow Ukrainian who had begun helping Gateway Pastor Dr. Wayne Wilks Jr. pioneer the launch of MJBI in 1996. When Valentin invited him to join the school shortly after its launch, Sasha gravitated toward this pathway of Messianic Jewish studies, not sure where it would lead. But it was in the moment at Auschwitz nearly a decade later that he realized he was not just toeing the line for MJBI’s goal—God had selected him for a unique purpose. Hanna remembers her first encounter with antisemitism. Her high school teacher was Jewish and received backlash from students and fellow teachers because of it. After a particularly difficult moment for the teacher, Hanna took a stand for her. “I told her she should be brave and proud to be Jewish. It was just a moment of support, but I know it meant a lot to her,” she says. “Even as a student without any real power, I was ready to stand with her.” It was moments like this that put Hanna on her ministry path. She and Sasha graduated from MJBI and both joined the staff at the school in Odessa, where they worked for 17 years. Along the way, they had their daughter Nataly and son Shimon. Life went on peacefully as they continued to plant roots and work as key leaders alongside Valentin at MJBI. While there haven’t been many speed bumps along the way, some interesting things have happened. One day seven years ago, Sasha, for a reason he can’t explain, decided he wanted to learn the Polish language. “He just came to me one day and said, ‘Honey, I want to study Polish,’” says Hanna. “Maybe it was his Polish roots awakened in him.” She wasn’t sure how long he’d stick with learning another language. It seemed like it would be a wasted hobby. Though Ukraine shares a border with Poland, there wasn’t really a way for him to practice speaking Polish; however, he stuck with it. Grzegorz (translated: Gregory) Boboryk is a fashionable character. His comedic timing is as well executed as his outfits—both are traits his students love about him. As a professor at the College of Theology and Social Sciences in Warsaw, Poland, he has an ever-growing knowledge and love for the Old Testament. On a trip to the United States for Gateway Conference last year, he bought a leather Indiana Jones–style hat and wears it with swagger and style. During his time here, he talked about how his school had launched a Jewish studies program that had ultimately failed. He and the school’s president, Piotr (translated: Peter) Novak, wanted it to work but they had to let it go. With everything that had happened in Poland, they couldn’t understand why it didn’t take off. The country had once been the center of Jewish culture in Europe before 3 million Polish Jews were tragically murdered during World War II. The Jewish ghetto in Warsaw, the largest in Europe, imprisoned more than 400,000 Jewish people in a square mile. After the war, the Jewish population dwindled further with many Polish Jews moving to Israel. But now, the younger generations are beginning to return to discover their roots in Poland. Gregory and Peter wanted to reach this younger generation but didn’t know how exactly. Peter was excited about the idea but had some trepidation because of how the school’s earlier attempt at a Jewish program had gone. They met with Pastor Wayne and MJBI president, Nic Lesmeister, and found out very quickly that this wasn’t just a coincidence—God was putting this all together and the puzzle pieces fit perfectly. They would adapt the program created by Dr. Raymond Gannon—the theologian who wrote MJBI’s curriculum and built The King’s University’s Messianic Jewish Studies program—and put it under the umbrella of the school in Warsaw, which would make the program the first fully accredited Messianic Jewish degree in Europe’s history. However, there was one problem. They needed someone with a deep understanding of MJBI’s program who was also fluent in Polish. Sasha’s linguistic “hobby” made him uniquely qualified for the job! 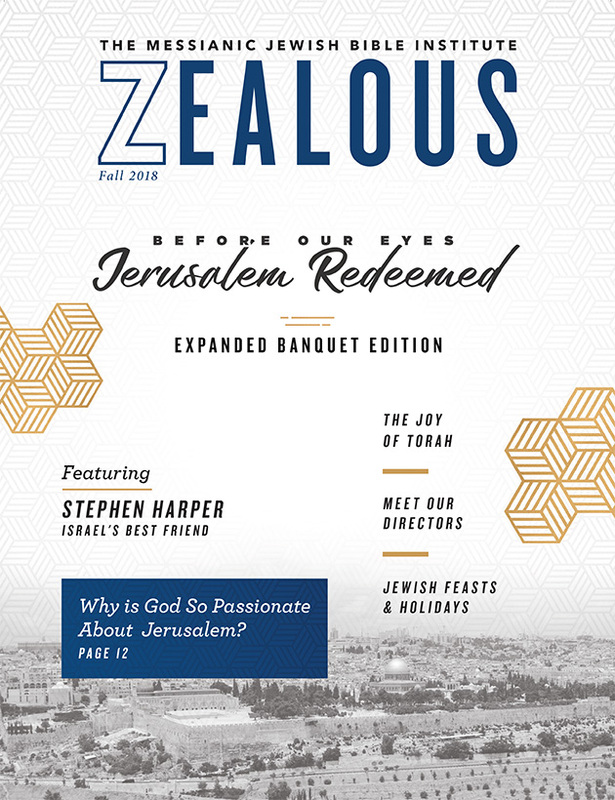 In Texas, perfect autumn days don’t happen often, but in Warsaw last October—on the day the College of Theology and Social Sciences launched the new Messianic Jewish program—the weather was idyllic. Inside the school’s main auditorium, designed in a modern architecture style not common in the United States, Nic Lesmeister and Dr. Gannon, along with Peter Novak, addressed the several hundred in attendance. It was a historical day—one that may go unnoticed by most, but for Sasha (now Olek in Polish), Hanna, and those who care deeply about reaching the next generation of Jewish people and connecting them with the Messiah, it was monumental. Sasha sat quietly, letting everyone else address the crowd as he made some observations—the same thing he had done when he visited Auschwitz more than a decade ago. But this time he wasn’t sad that the young people wouldn’t remember their heritage. He was happy because he knew they would never forget. This article was originally published in the Spring 2019 issue of Gateway Life and was used by permission from the author and Gateway Church.